The Dreamy Look features a new eyeshadow palette and a few other repromoted items including the mascara, bedroom black kohl and Secret Salma Lipstick. You can buy the items individually or in the Dreamy Look Gift Box Set. 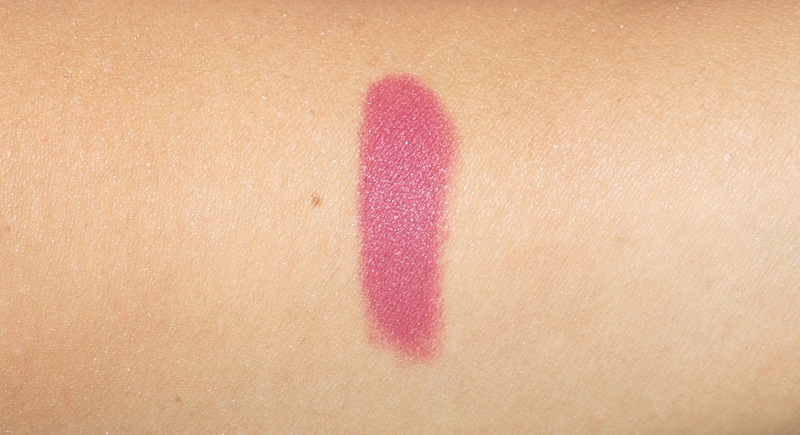 While browsing the site I did not realize the featured lipstick in Secret Salma was a repromote from the Hot Lips launch until the moment I hit submit on my order. So now I have two. Up first is the new perfume called Scent of a Dream. I received the 50 ml as a press sample for review and it is exactly what I envisioned Charlotte Tilbury to launch for a fragrance. 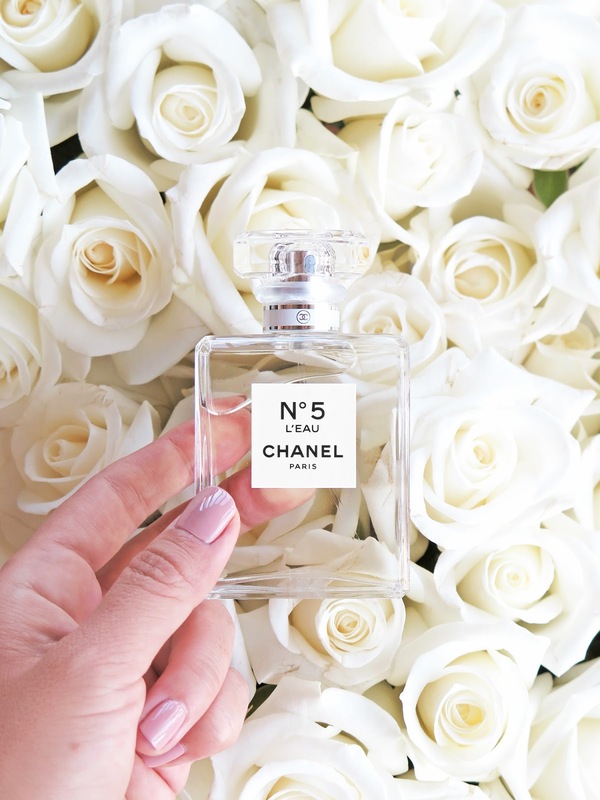 It’s a very complex kind of scent that has a rich and seductive feel. To me it’s very much an evening date night kind of scent rather than everyday. Lasting power is quite strong and I was able to smell it late in the afternoon from the morning spritz. It’s a dark woodsy floral but has some light notes mixed in at the same time. Top notes include lemon, peach, black pepper, saffron, mandarin and bergamot. Heart notes include tuberose, jasmine, frankincense, hedoine, violet, muget, orange flower, rose oil, tea rose, green ivy and magnolia. Base notes include fire tree, Iso E Super, patchouli, ambroxan, precious woods, amber, castoreum, musks. 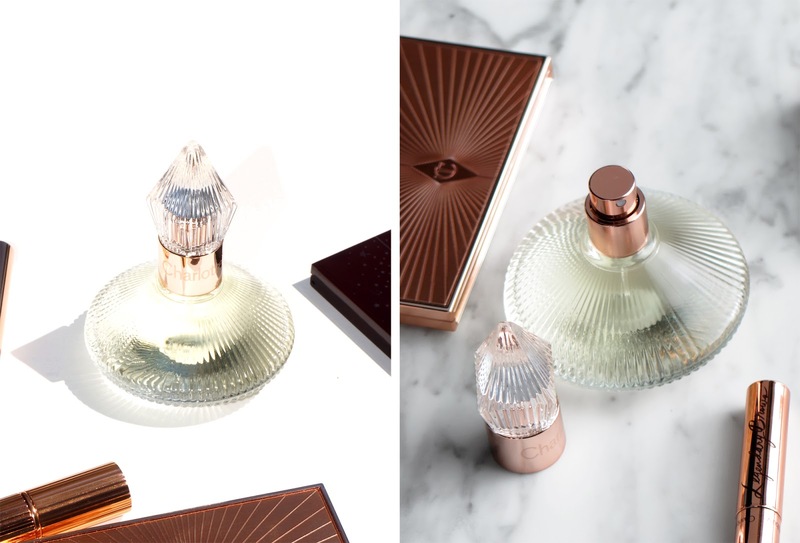 According to Charlotte Tilbury, the top notes develop after 15 minutes after warming up on the skin and heart notes develop after five hours. I do find it shifts on the skin after a few hours but still smells very much the same. Had I spritzed and tried this in store on my own I don’t know that I would have bought it for myself – it’s quite a bit more seductive and rich compared to what I typically wear and to this day I still feel like my best date-night scent is Viktor and Rolf Flowerbomb although Edward Bess is coming out with three fragrances next month which are incredible and Louis Vuitton launched seven new scents which are also quite amazing which might move Flowerbomb off the favorites list to a three-way tie (more details and review soon but I still have a lot of testing to do). Bottom line the Scent of a Dream is indeed dreamy and lovely, just not quite me. Next up is a quick reswatch of Secret Salma which is a gorgeous raspberry pink color. It’s the matte revolution formula which is matte but luminous at the same time. Full review and lip swatches of all the Hot Lips Lipsticks in this post here but here’s another look for reference. The Legendary Brows Brow Gel in Clear is a brow gel that comes with a very tiny brush wand. I am not a fan of clear brow gels because of two reasons. First is they rarely do anything for my brows and second they often leave that white chalky cast. I am very low maintenance when it comes to brows and I am well aware that I need to up my brow game. To date my go-to’s are the Diorshow Brow Styler (review here) and the La Palette Sourcils de Chanel (review here) – they’re the best no fuss impossible to overdo brow products for brow dummies. I’ve tried a number of brow gels in clear and tinted and try to use them but often forget to. The Charlotte Tilbury Legendary Brows Brow Gel performs well to actually hold brows in place. There’s no white film or chalky look once it dries. I will say that a little goes a long way. The first time I tried it I applied way too much and it left my brows very sticky. I’m really pleased with it – it holds brows in place after combing them upwards. Last but not least is the new Legendary Muse Luxury Palette. This is limited-edition and has the same exterior star designed packaging as last year’s Fallen Angel Eyeshadow Palette. This year’s Legendary Muse texture is not like the limited-edition from last holiday but rather like her regular palettes in powder form for 3 shades and 1 glitter finish color. I last reported that the MAC Pressed Pigments were too glittery for me. The ones from Charlotte Tilbury and Tom Ford though are ones I find more wearable even though I’m very conservative for eye looks. I have fallen head over heels for the Legendary Muse Luxury Palette. It’s a warmer palette of neutrals but still very wearable. Charlotte labels them 1 thru 4 on the back for application order but I apply this one in a different order. I like applying the darkest shade first and then follow with the top two layered on top and glitter topped as the last part. Pigment is medium to full. Colors match my arm so they look a bit sheer here but they do show up well on the eyes. Colors are a soft pinky shimmer, warm coppery gold shimmer, light gold glitter and mauve shimmer. A quick eye look in indoor lighting, no flash. Still working on getting the right lighting for face and eye swatches and beauty looks. I would say in real life the palette isn’t quite as reddish/mauve looking as the photos show below. 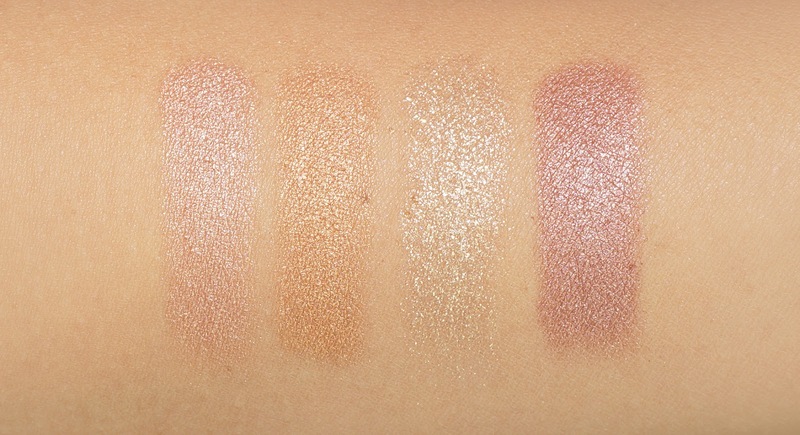 Comparison swatches below show that you can definitely find dupes for the palette, but the texture and combination just works so well. There are subtle differences in the shimmer and texture is soft and blendable. I bought my palette sight unseen so I did not know what to expect based on the online stock photos. I did know it would be on the warmer side and am thrilled at how it turned out. I really love the eyeshadow palette and think it’s a great one to wear for any occasion. Although I really don’t do lots of glitter makeup, the Charlotte Tilbury glitters are easy to wear and layer on top of other powder shades for a little glitz without going over the top. 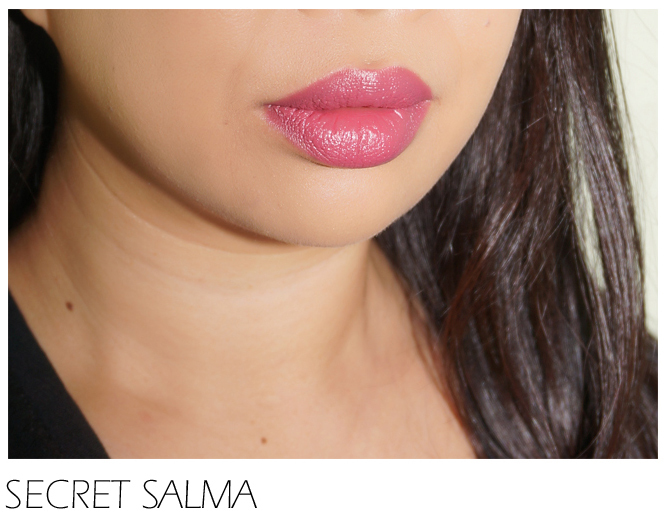 If you’re looking for a classic raspberry pink lip, Secret Salma is a gorgeous option that I think would suit a wide range of skintones. The brow gel is a good one but as I’m not really a brow aficionado I don’t think I’d call it a must-have but it is one of the few clear ones that actually hold my brows in place. The perfume is a beautiful one, but as perfume is very personal I think it’s a bit bolder than my personality and I only see myself wearing it for evening. 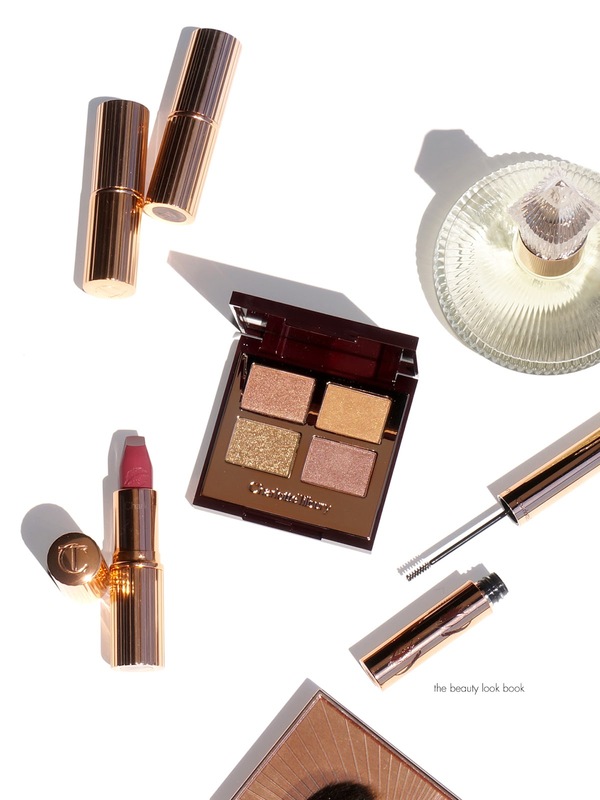 You can find the new Charlotte Tilbury launches online at Charlotte Tilbury. Right now the eyeshadow palette and perfume are also available at Nordstrom. Have you tried any of these new launches yet? What did you think? Perfume and brow gel provided courtesy of Charlotte Tilbury for review. Palette and lipstick purchased by me.